Main Point: I can grow like Jesus! 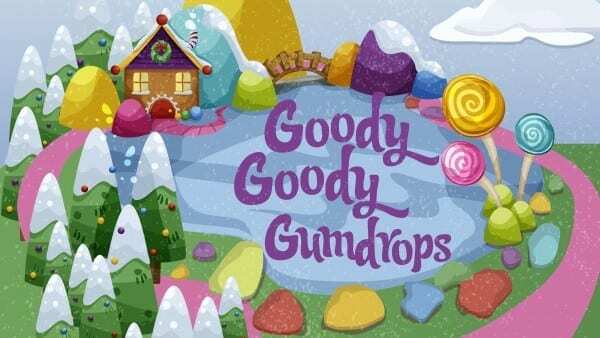 We had a sweet time in Quest playing the Goody Goody Gumdrops board game! When we reached our favorite spot on the board, Grandma Ginger’s house, we knock, knock, knocked on the door so Grandma Ginger could share a Bible story with us! This week at Grandma Ginger’s house we learned “I can grow like Jesus!” from the story of Jesus’ childhood. While Jesus and his parents were visiting Jerusalem for a special holiday, they went to the temple to worship God by praying and singing songs with all of their friends. After seven days, everyone started to walk home. After walking all day, Jesus’ mom and dad realized Jesus was not with them! They went back to Jerusalem and looked for Jesus everywhere. After three days, they went to look in the temple – and found Jesus! He was talking to the temple leaders and learning about God, his Father. Just like Jesus grew by learning more about God, we can grow and learn more about God by going to church, praying, and worshipping God! Children can also earn bonus gumdrops during this series. Families are invited to visit the Goody Gumdrop tree at any of our campuses to receive an eKidz at Home gumdrop. 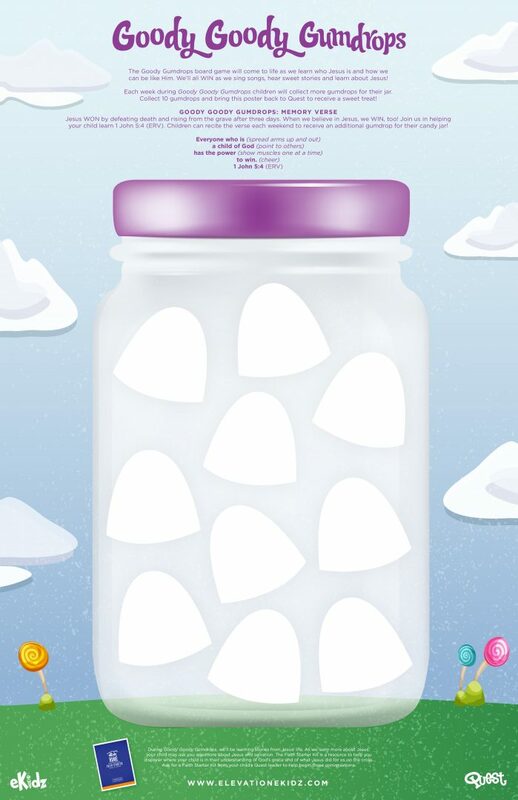 Parents should take these gumdrops and do the activity on the back with their child then help glue the gumdrop to their child’s poster.